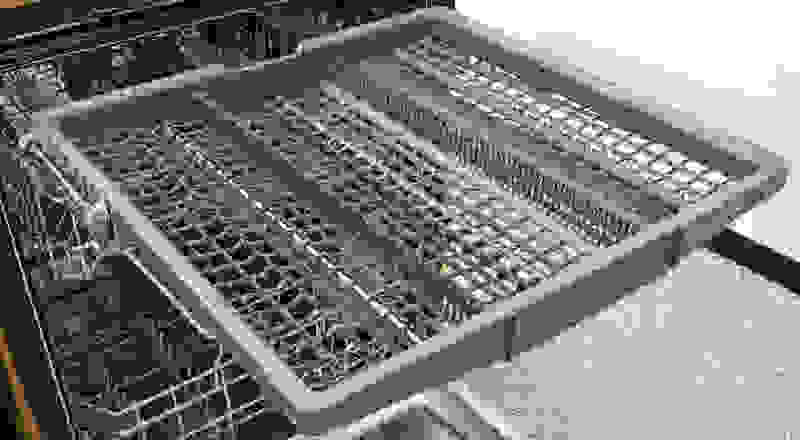 The SPT SD-9241W 18″ is our pick for the best portable dishwasher. 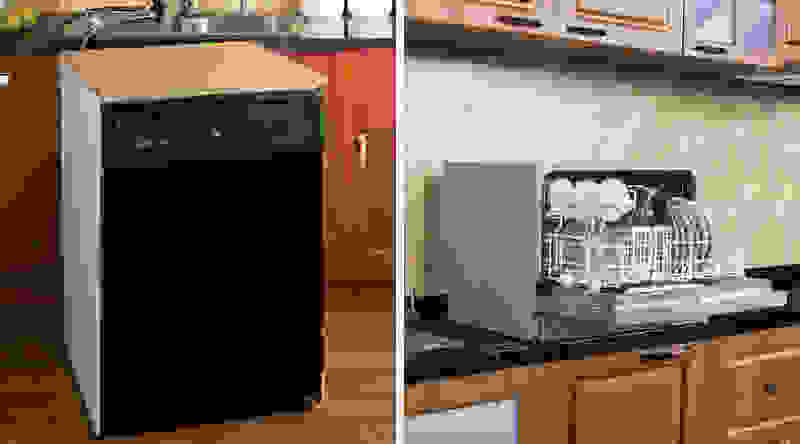 If your kitchen doesn’t have a cutout for a standard 24-inch installed dishwasher, there are two alternatives to giving up and washing everything by hand: portable dishwashers and countertop dishwashers. Make sure you know the difference when you’re shopping. Portable dishwashers — Portable dishwasher are typically on wheels so you can roll them up to the sink when they’re in use and shove them in a corner when they’re not. They’re typically 18 inches wide, though you can also find 24-inch-wide models. Because they’re about the same height as a standard dishwasher, the two racks can hold quite a few dishes. Countertop dishwashers — If floor space is limited, or you just don’t need to wash that many dishes, a countertop dishwasher may be a better choice for you. Countertop dishwashers typically cost about half as much as a portable dishwasher. They can’t fit many dishes into them and can take up a lot of counter space, but you’ll still save a lot more water and time than you would if you always wash your dishes manually. Take a look at our Best Countertop Dishwashers of 2019 for recommendations. Note: If your kitchen faucet lacks a removable aerator (the fitting at the end of the faucet that contains a gasket and a small screen), you may have some issues with installing countertop or portable dishwashers. Examine your kitchen faucet carefully to ensure that it’s capable of having a hose attached before you purchase a portable or countertop dishwasher. Testing dishwashers is a dirty job, and we’re happy to do it. We test portable dishwashers the same way we test full-size, fully-installed dishwashers—on Performance, Features, and Usability. • Stain removal —We put the three major cycles on a dishwasher (Quick, Heavy, and Normal) to the test by baking food and beverage stains—including milk, spinach, egg, oatmeal, meat, and more—onto 15 to 20 dishes that are then loaded into the dishwasher per the manufacturer’s loading directions. At the end of each cycle, we determine how much stain has been removed from each dish. Ideally, each dish is 100 percent clean, but that level of cleaning perfection can be harder to achieve in real life. • Number of dirty dishes —After a dishwasher cycle has finished, we count the number of dishes that are not 100 percent clean; if your dishwasher can’t clean most of your dishes the first time, it’s not doing its job correctly. 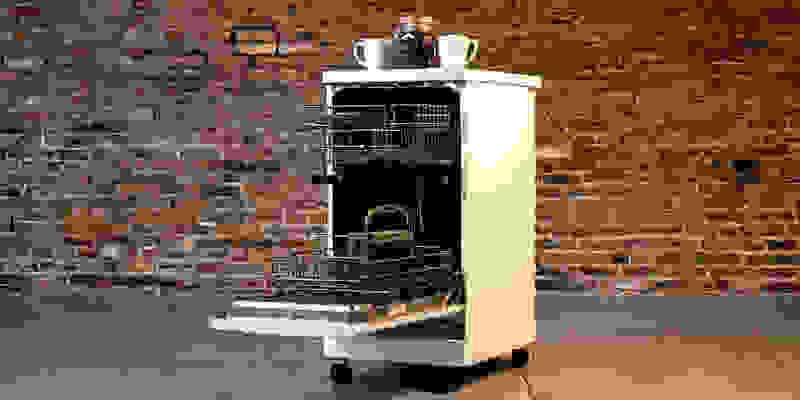 • Cycle time —Dishwasher cycles can run the gamut from 30 minutes to four hours. Shorter cycle times are much more convenient, especially when it comes to large dinner parties, where you may need to reuse dishes from dinner when it’s time for dessert. • Drying —Whether it’s accomplished with rinse aid, a built-in heater, or a built-in fan, customers expect their dishes to be dry as well as clean. We penalize the dishwasher every time a dish comes out wet, whether it’s sopping wet or just covered in a few water droplets. While all of the features in the world can’t make a bad dishwasher better, they can really add the finishing touch to a dishwasher that does a killer cleaning job. We look at the various cycles, cycle options, and dishwasher specs and assess both a) how useful the features are, and b) how easy it is to actually use those features. For example, a third rack that primarily holds cutlery can often be a game-changer when it comes to freeing up valuable real estate in the bottom rack. However, if the third rack is rickety, doesn’t slide smoothly, or prevents the dishwasher from actually cleaning the cutlery, we would penalize the dishwasher, rather than reward it just for having a third rack. The whole point of a dishwasher is to save you from having to spend time scrubbing every dirty dish by hand; if a particular feature isn’t going to make the process of using a dishwasher better or easier, then we don’t want it.